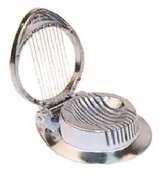 Aluminum Egg Slicer, $4, call 770.925.4858 for shipping quote. 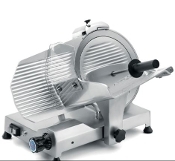 Commercial Tomato Slicer 3/16 Inch Blade Brand New $125 call 770-925-4858 Global Chefmate 12" Slicer, 115 volts, works great, $500, call 770.925.4858 for shipping quote. Globe Heavy Duty Automatic Slicer. $1200. Contact us at 770-925-4858. Lettuce King lettuce chopper by Lincoln, new or light new condition, $400 call 770-925-4858 for shipping quote. Silver King 1 inch Lettuce Cutter. $500.00 Call for shipping quote. 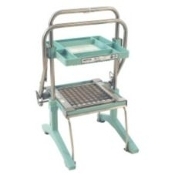 Univex meat slicer model 9512 . 110 volt , 12 inch blade .